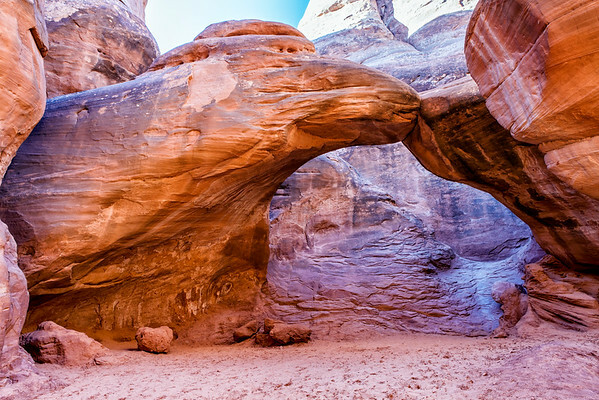 Sand Dune Arch is one the of the prettiest arches in Arches National Park. It is lighted by sunlight reflecting off the walls all around it. This arch is only a short distance from the parking area.